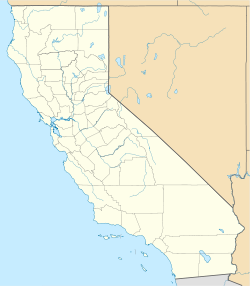 Hinkley is an unincorporated community in the Mojave Desert, in San Bernardino County, California, U.S., 14 miles (23 km) northwest of Barstow, 59 miles (95 km) east of Mojave, 47 miles (76 km) north of Victorville and about 121 miles (195 km) driving distance north-northeast of Los Angeles. Just north of California State Highway 58, the residents have faced concerns over chromium-6 in their well water from the world’s largest plume of this cancer-causing chemical. The only school in Hinkley closed in June 2013. Between the 1960s and 1980s, several miles west of Hinkley along Highway 58, the Hawes Radio Tower (a guyed mast) was used for military communication in the LF-range. In 2015, Hinkley was one of the filming locations for Sky. Hinkley was also the setting for Barstow, Bombay Beach, Joshua Tree, Landers, Lenwood, Ludlow, Newberry Springs, Victorville, California, and Erin Brockovich. Hinkley, California, had its groundwater contaminated with hexavalent chromium starting in 1952, resulting from a compressor station for natural gas transmission pipelines. Legal action against Pacific Gas & Electric (PG&E) followed and residents of Hinkley filed a class action. In 1993, Erin Brockovich, a legal clerk to lawyer Edward L. Masry, investigated the apparent elevated cluster of illnesses in the community linked to hexavalent chromium. The efforts of Brockovich and Masry, and the plight of the people of Hinkley, became widely known when the film Erin Brockovich was released in 2000. After many arguments, the case was referred to arbitration with maximum damages of $400 million. The case was settled in 1996 for $333 million, the largest settlement ever paid in a direct-action lawsuit in U.S. history. In 2006, PG&E agreed to pay $295 million to settle cases involving another 1,100 people statewide for hexavalent chromium-related claims. In early 2016, the New York Times described Hinkley as having been slowly turned into a ghost town due to the contamination of the area. The United States does not define a census-designated place called Hinkley, but it does define a ZIP Code Tabulation Area (ZCTA), 92347. Because Hinkley is contained within this ZCTA, it is possible to obtain census data from the United States 2000 Census for the area even though data for "Hinkley" are unavailable. As of the census of 2000, the ZCTA of 92347 had a 2000 population of 1,915. Of note is the fact that there were 485 people (26.7 percent of the population) five years in age or older categorized as having a disability, a higher than average figure when compared to the national average of about 19.3 percent. The postal ZIP Code is 92347 and the community is inside telephone area codes 442 and 760. ^ Steinberg, Jim (March 18, 2015). "Hinkley continues to shrink: Desert town set to lose only market, gas station, Post Office". ^ Baes, Michael (July 29, 2011). "Final Technical Support Document on Public Health Goal for Hexavalent Chromium in Drinking Water". Water. Oakland, CA: California Environmental Protection Agency. Retrieved April 23, 2012. The health-protective level is based on avoidance of potential carcinogenic effects. ^ Lovett, Ian (23 January 2016). "Gas Leak in Los Angeles Has Residents Looking Warily Toward Flint". New York Times. Retrieved 24 January 2016.